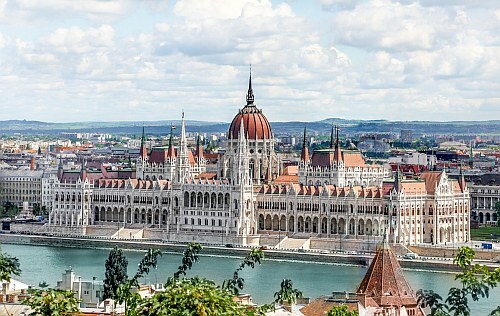 Similar to their other price drops to European cities, the Star Alliance has now dropped the price of their flights from Seattle to Budapest, Hungary down to $596 CAD roundtrip including taxes for travel in June and July 2018. The cheapest flights from Vancouver to Budapest in July are currently $1440 CAD roundtrip! July 20 is the furthest into July that you can depart. As long as you depart by July 20 you can return on a variety of dates right up to the end of August and still get the low price. 2. Click on the departure date box to open up the calendar view and look for the cheaper date combinations. Look for the dates that are in the $600s roundtrip. Update 11/1 - These are still around and have actually come down in a price a little more. There are Seattle - Budapest flights in June and July 2018 starting at around $519 CAD roundtrip including taxes. There are actually some in the $400s but with really long travel times. The cheapest I've seen with a reasonable travel time is $513 CAD. Follow the steps in the section above. Try starting with a departure date of July 1, 2, or 10 on Google Flights. July 20 is the furthest into July that you can depart. As long as you depart by July 20 you can return on a variety of dates right up to the end of August. eastern europe, seattle, sea, air canada, europe, central europe, budapest, hungary, bud, lufthansa, swiss and united airlines.